Lately, there has been much talk about the Yankees being "too deep" of a ball club. For many teams, such a problem (if we truly want to label it as such) is an enviable one. However, with key players returning from the disabled and more to on the way, the Yankees have been, and will continue to be, faced with tough roster decisions. 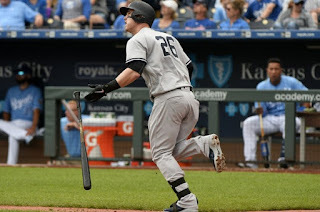 The Bombers have already decided to keep the recently reinstated Brandon Drury, a key offseason acquisition, in the minors due to the success of Miguel Andujar, who has filled in at third base in Drury's absence. With Greg Bird due back in the coming weeks, Tyler Austin will likely be sent down to Triple-A. Austin has proven he can succeed at the major league level, which is precisely why he should be a key piece in a trade to a land a starting pitcher this summer. 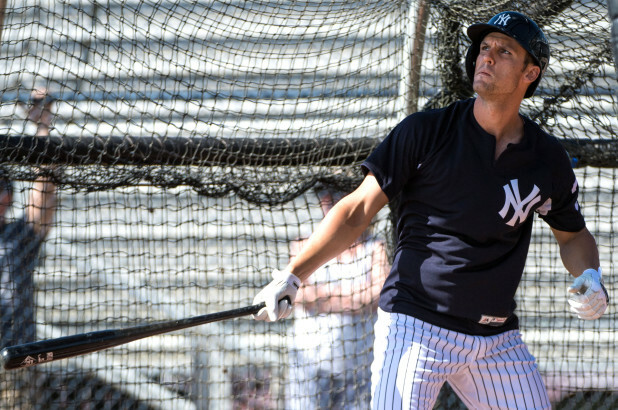 The Yankees organization is undoubtedly committed to Greg Bird. The oft-injured twenty-five-year old first baseman has 40 home run power and plays his position superbly on the defensive side. Due to his lefty power being a natural fit in Yankee Stadium, the team has steadfastly stood behind Bird, even in light of his injuries. After all, Bird's tie breaking home run in game three of the 2017 ALDS against the Indians was one of the team's biggest hits this past postseason. Knowing what Bird is capable of, it is hard to not be in favor of the organization's strong support for the player they view as the next great Yankee first baseman. Tyler Austin's success has made many Yankees' fans question the organization's commitment to Bird. As of the writing of this article, Austin is hitting .247 with eight home runs and 23 RBIs, while essentially platooning with Neil Walker at first base. Many of Austin's hits this season, most prominently his home runs, have come at key junctures in games. Austin's knack for the clutch has impressed, but we cannot forget Bird also has a history of the same tendencies. Perhaps the strongest argument in choosing Bird over Austin is the impact the former's lefty bat will have on balancing the lineup. With the exception of Didi Gregorious, who has struggled profoundly ever since he got off to a hot start, the Yankees do not have another true lefty power threat in a ballpark that has been historically friendly to left-handed power hitters. Needless to say, Austin, like Drury, will be a major league capable player who will likely draw the short stick and be optioned to the minors upon Bird's return. Neil Walker is a more than capable backup who switch hits and plays multiple positions, while Austin is pretty much restricted to either first base or designated hitter. However, Austin has already proven he can hit at the major league level, when healthy. At only 26 years of age, Austin can be a starter for a major league team. Barring some very serious setbacks for Bird, that team will not be the Yankees. Come July, the Yankees should actively be shopping Austin as the team hunts for additional starting pitching. Austin has appeal for a team that is looking to contend in the future or a team that is the middle of a rebuild. He is competent defensively and has the potential to hit 30 home runs, if given consistent playing time. For example, if the Yankees were to target a pitcher such as veteran Cole Hamels of the Texas Rangers (the merits of this potential trade can be discussed elsewhere), Austin could be what it takes to make a deal happen. In dealing Austin, the Yankees would be dealing from a position of strength. Having the extra insurance for Bird is certainly a nice luxury, but all signs seem to indicate that this last procedure should be the end of the young first baseman's chronic injury history. Tyler Austin helped usher in the Baby Bomber movement in August of 2016 when he, along with Aaron Judge, hit back-to-back home runs in their major league debuts. He has performed admirably when called upon by the Yanks, and his brawl with Joe Kelly and the Red Sox will live on forever in the franchise's lore. That being said, Austin does not have a long-term future in pinstripes. The Yankees would be smart to move him this summer, while his stock is at a high, to improve a starting rotation that should be viewed with skepticism.